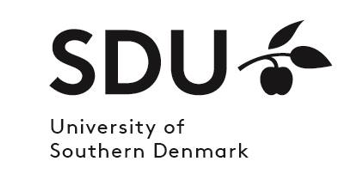 The Department of Business and Economics, University of Southern Denmark, invites applications for one or more vacant associate professorships within the area of accounting at both campus Odense and Kolding to be filled as soon as possible. Appointment to associate professor presupposes scientific qualifications documented through a PhD degree in Economics / Business Economics and a completed assistant professorship (or the equivalent). It is expected that applicants have a proven record of scientific research at an international level within the area of Economics / Business Economics and especially accounting, as well as a record of good teaching skills and experience. The research and teaching activities at the department are organized within four groups: Accounting; Finance; Microeconomics & Management Science and Econometrics & Economic History. Furthermore, OECONOMIA, which is a unit that undertakes research-based consultancy in the form of economic analyses, is highly integrated in the department. Within accounting, research in financial accounting, managerial accounting, and in auditing is conducted using analytical, empirical, behavioral and qualitative methods. Analytical research is located in Odense while qualitative research is located primarily in Kolding. Empirical and behavioral methods are employed at both locations. It is the aim of the Department of Business and Economics to conduct research of high international standard documented through publications in internationally distinguished journals and presentations at international conferences. It is expected that the successful applicant will contribute to the research at the department. Furthermore, it is the aim of the department to conduct teaching using the newest teaching methods to enhance students' learning. Currently, accounting programs are offered both in Kolding and in Odense, while the auditing program is offered only in Kolding. The successful applicant will be responsible for the teaching of courses in accounting and supervision of students at both the BSc and MSc levels. Further information about the positions can be obtained contacting professor Hans Frimor by telephone: +45 65503325, email: haf@sam.sdu.dk, associate professor Dennis van Liempd by telephone: +45 65501469, email: dvl@sam.sdu.dk or head of department, associate professor Jan Guldager Jørgensen by telephone: +45 60114375, email: jgj@sam.sdu.dk. Applications must be submitted no later than the 12th of April 2019.